Just adorable!!. . 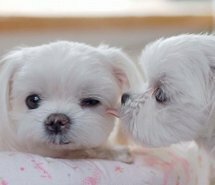 Wallpaper and background images in the Puppies club tagged: cute puppies sweet image dogs.